Promises, promises. The food industry pledged to restrict their marketing activities, but a review of evidence, published in July in the journal Obesity Reviews, revealed that advertising of junk food continues to undermine children’s health. 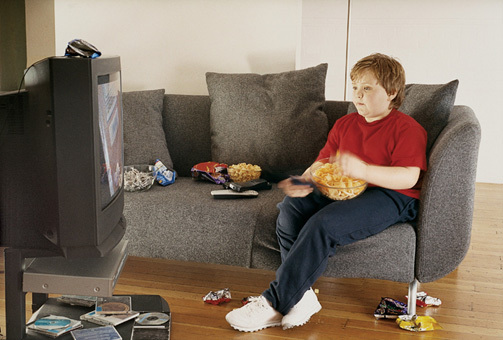 The review looked at kids’ exposure to advertisements for food and drinks high in sugar and fat. Information gathered from independent surveys conducted in Europe, Asia, Australia and North America showed that despite the food industry’s assurances that things would improve, little changed in the last five years. In comparison, industry-sponsored reports showed a higher level of compliance—of 98 percent or more—with their self-regulations. “Five years after companies announced their voluntary pledges to limit advertising of junk food to children, we find the industry has not done enough,” said Dr. Tim Lobstein, the report’s senior author, in a statement. “While the companies report that self-regulation has worked just fine, the evidence collected by independent researchers and government agencies shows that children continue to be exposed to junk food advertising at high levels,” he added. Ofcom, the United Kingdom’s regulatory authority for communications has banned junk food advertising during children’s TV programs. However, according to the review, this is only effective during children’s TV. “Advertising of junk food during family TV in the U.K. has actually increased since the ban on ads in children’s TV came in, undermining the benefits that rules might have had,” said Dr. Lobstein. “Ofcom needs to widen the scope of the regulations to make them more effective,” he added. The review authors call for comprehensive rules that cover digital and broadcast media along with independent monitoring and high fines for noncompliance.